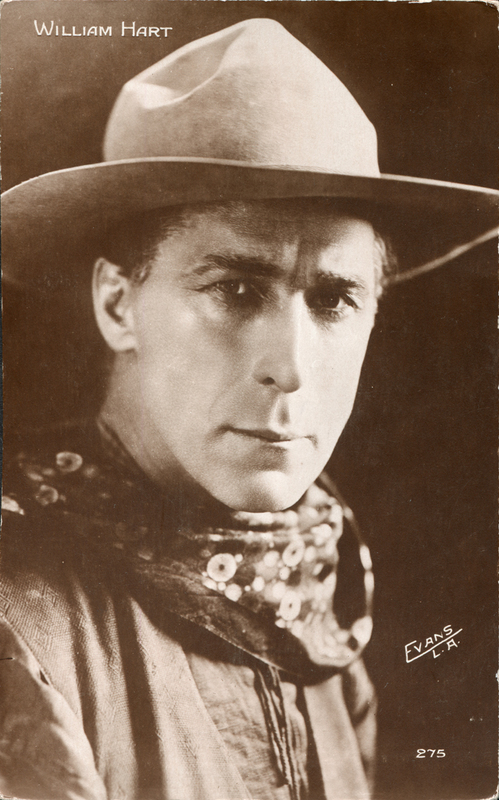 William S. Hart. French arcade card (printed as a postcard, unused), 1920s, 3½x5½ inches. Photo by Evans of Los Angeles. Back reads: Cinémagazine - Edition Paris / Made in France — Fabriqué en France. Essentially the same as this German arcade card. LW2540: 19200 dpi jpeg from original card purchased 2004 by Leon Worden from a dealer in Belgium.